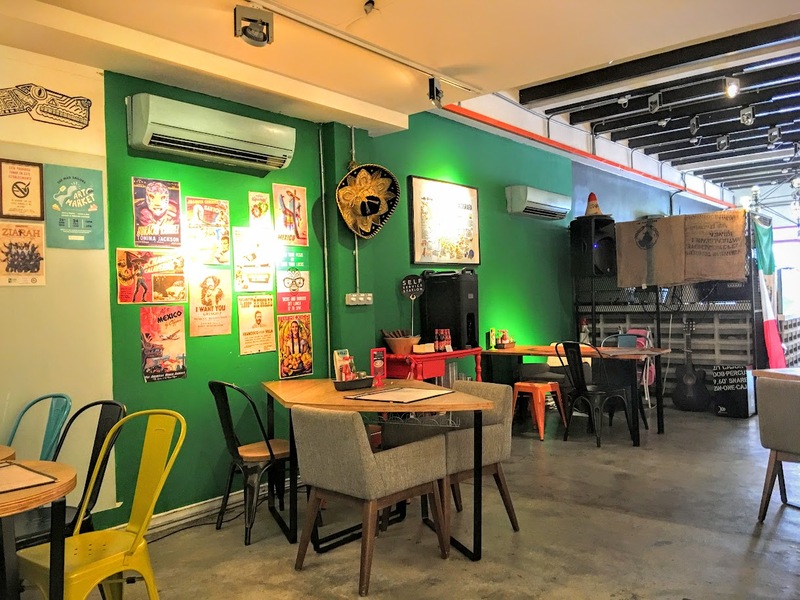 A Mexican place in the middle of Kampong Glam? Say it isn’t so! 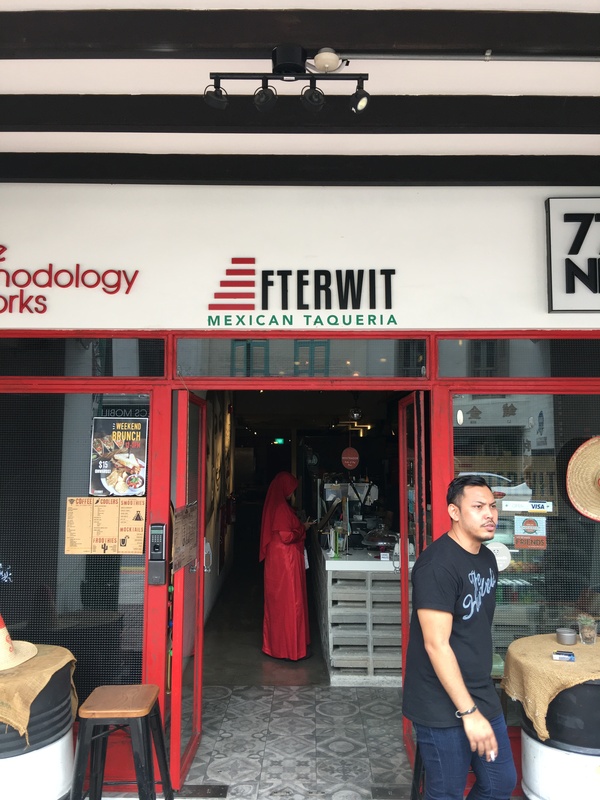 But Afterwit is there and they offer Tacos. The taco lover in me says, let’s give it a try! Quite sparse inside, but who cares if the food is good? I went with the Crab Tacos. It was different so I decided to try. Not exactly quite there, but a good try. The slaw needs a little work, the Jalapenos are just not quite doing it here as well. But, the taste is pretty good, it needs some work. But, I’ll try it again! 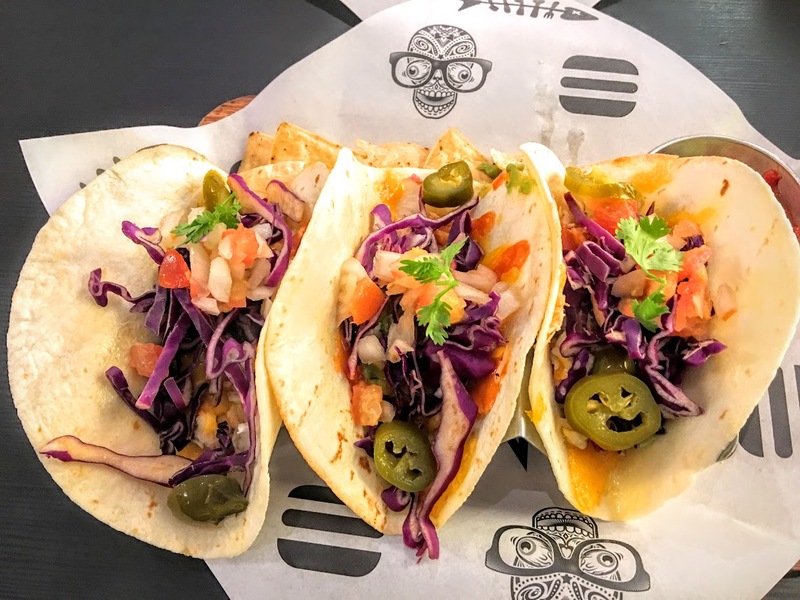 Posted in Singapore, TacosTagged Singapore, TacosBookmark the permalink.